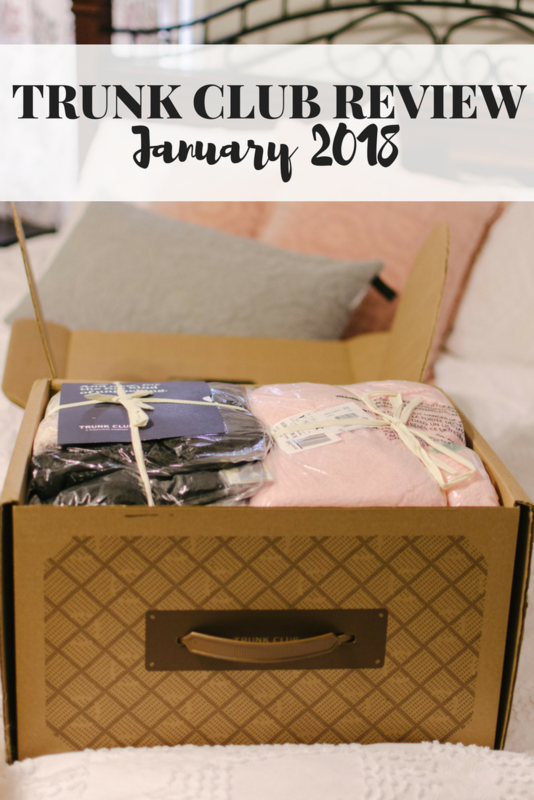 Trunk Club Reviews – January 2018! A few months back, I started subscribing to Nordstrom’s personal styling service, Trunk Club. 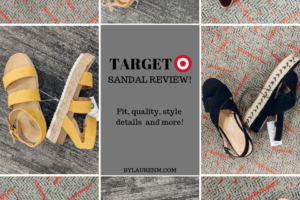 And I’ve been loving sharing my Trunk Club reviews with y’all! I actually skipped a month due to the holidays. (I did not need any additional help shopping, ya know?! 😉) And then additionally I forgot to share one I photographed back in November. So, it’s been a while since I’ve shared a trunk. 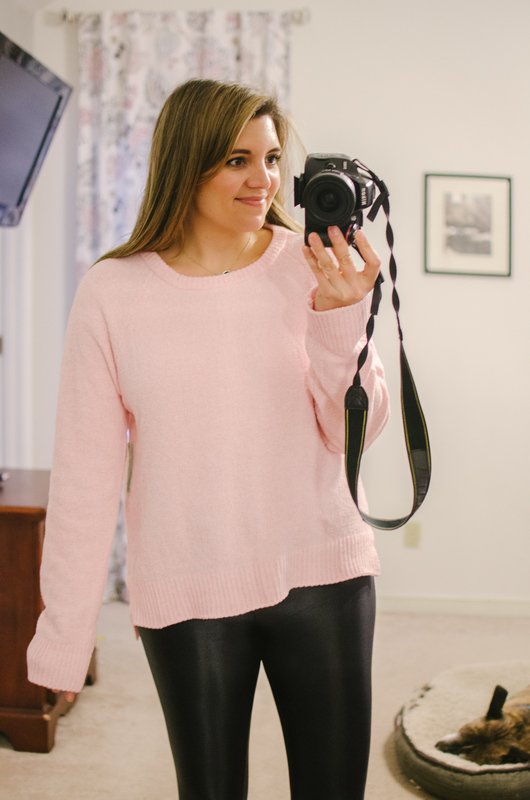 But I’m excited to bring you my January try-on today! 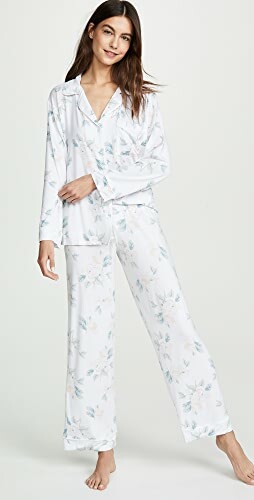 I requested cozy loungewear pieces this month. 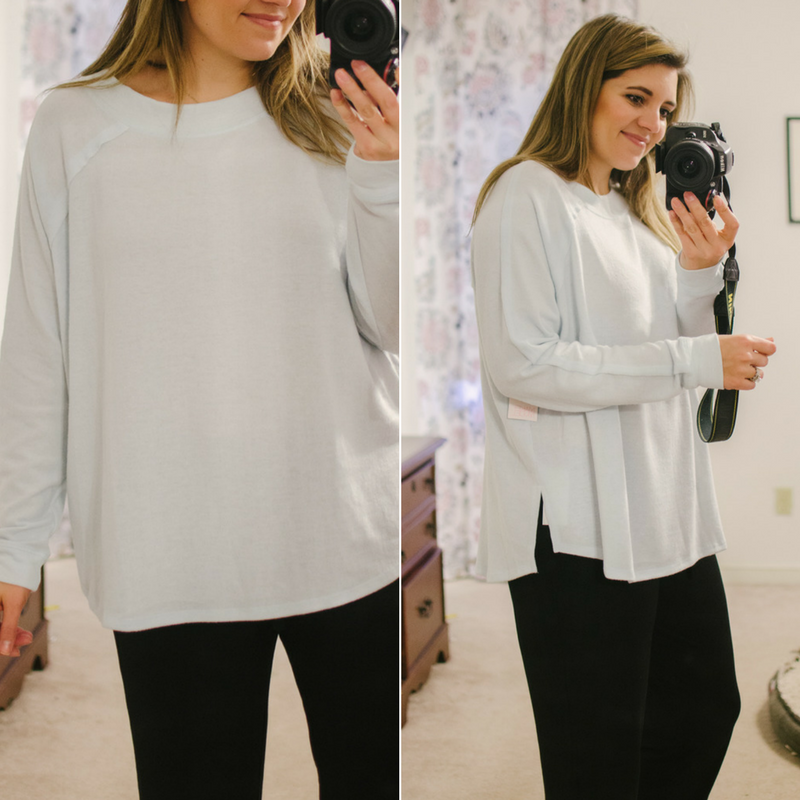 So, if you’re on the hunt for some great comfy cozies, read on! Have any questions about Trunk Club? Read my FAQ here! 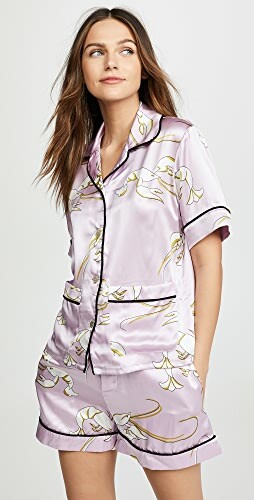 The first item I was really pumped to try was this Barefoot Dreams robe. I’ve professed my Barefoot Dreams obsession with y’all before. (In fact, I received two more sweaters for Christmas!) So I was pretty sure I was going to love it. Aaaand it didn’t disappoint. The material is so soft and cozy. The only thing is is that I’m not much of a robe gal. And at the price point, it didn’t make sense to keep it. But if y’all are on the hunt for a great robe, this is IT!! Second were this burnout tee and wide leg pajama bottoms. The tee is very soft and would be great for lounging. I also loved how soft and comfortable the pants were. And do y’all see the bottom? They have a lace border! 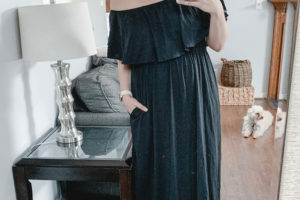 I was a little hesitant when I saw this dress in my Trunk Club preview, but sometimes you just gotta try something completely out of the box, right?! Well, this time it fell flat. My stylist sent me a large, which was definitely too big. But even if it was in a medium, I don’t think I would’ve liked it. The cut was just not flattering. I would definitely not recommend this for shorter gals either. At 5’7″, I felt like I was drowning in it, so I cannot imagine it on a smaller frame! This pullover was definitely a contender. 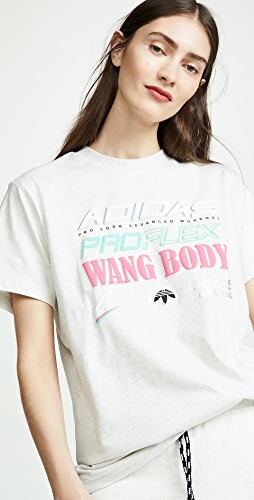 Of course I can’t find it anywhere online– it must be sold out. But I love the snap details at both the neck and the hip. Unfortunately, I had just purchased this hoodie, which is remarkably similar and also a fraction of the price! So, although I liked it, I’d still recommend this one instead. 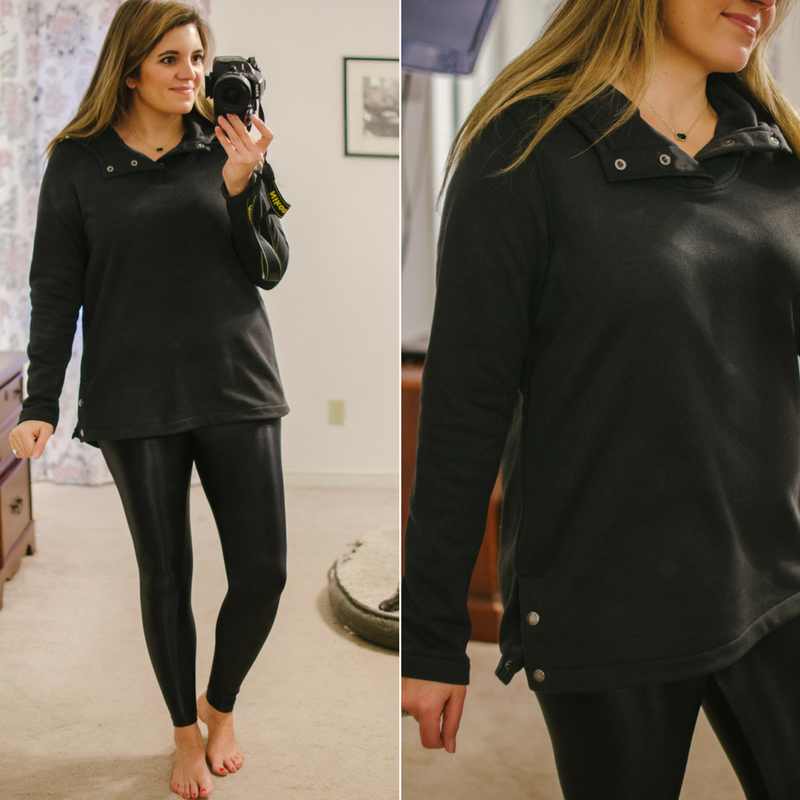 I really loved this cozy pullover immediately when I put it on. The color is such a beautiful pale minty aqua shade, and I loved the oversized fit. It also has cute little side notches. My only complaint is that it is a bit on the light side. I don’t know if you can tell, but it was definitely a little sheer. I probably wouldn’t have worn it outside the house, which is why I couldn’t justify buying it. Now these slippers, y’all. UGH. I LOVED ‘EM! I came so close to keeping them. Ultimately I came to my senses (aka my husband convinced me). Since I already own two pairs of slippers, I really didn’t need another. BUT if I was in the market for a pair, these would be it! I cannot recommend Ugg slippers enough. I currently own a pair that I love and truly can’t say enough good things about them. They’re supportive, cozy, and comfortable! 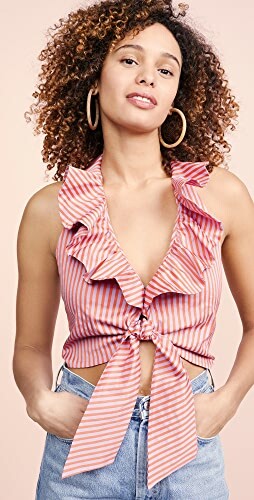 This top totally reminded me of a marshmallow puff. It is so soft and cozy, and I really love this pretty pink! 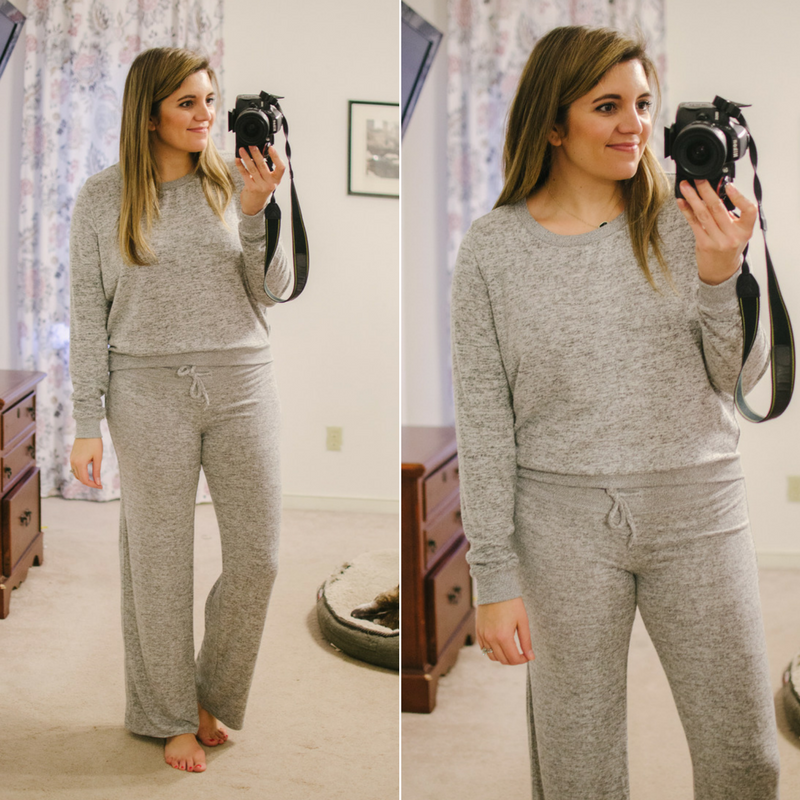 It’s the perfect piece to wear lounging, but you could get away with wearing it out too! And it’s now on sale!! Top (medium) — ON SALE! 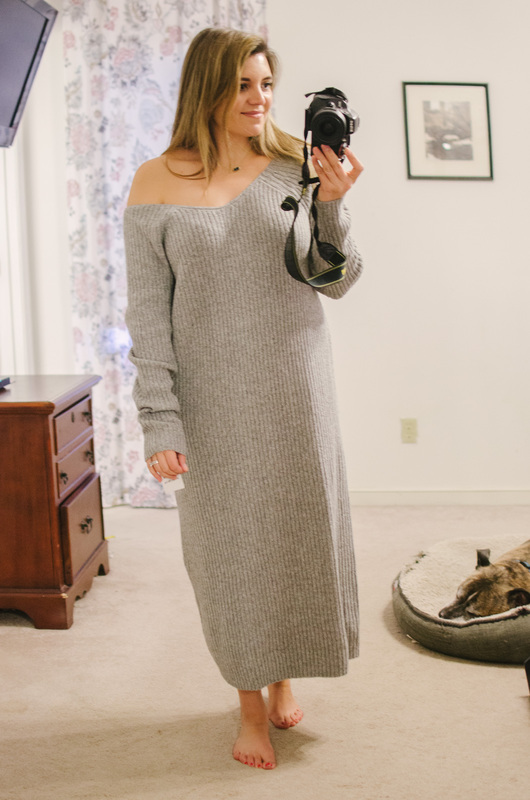 It’s a shame that there were so many pieces that weren’t right for you, but I have to say I love that knit dress! My super stylish friend rocks a similar one belted and I think in the right size for you with a belt it would look stunning. However I just don’t have the height to pull it off if it’s that long on you as I’m a lot shorter, haha! I tried to get a trunk club stylist to message me but I was assigned one that was on vacation right off the bat. I called to switch stylists. The rep on the phone said the stylist should reach out to me. I ended up having to reach out to them and again received a message saying the stylist was not available. 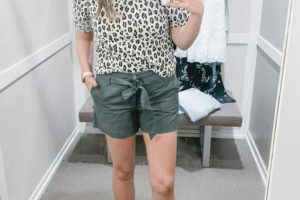 Not sure why I considered trying anyone other than Stitch Fix. I can choose to get my fix asap and I know my stylist always gets my notes! I don’t have to wait on her, I get my stuff right away if I want. Trunk Club is terrible. 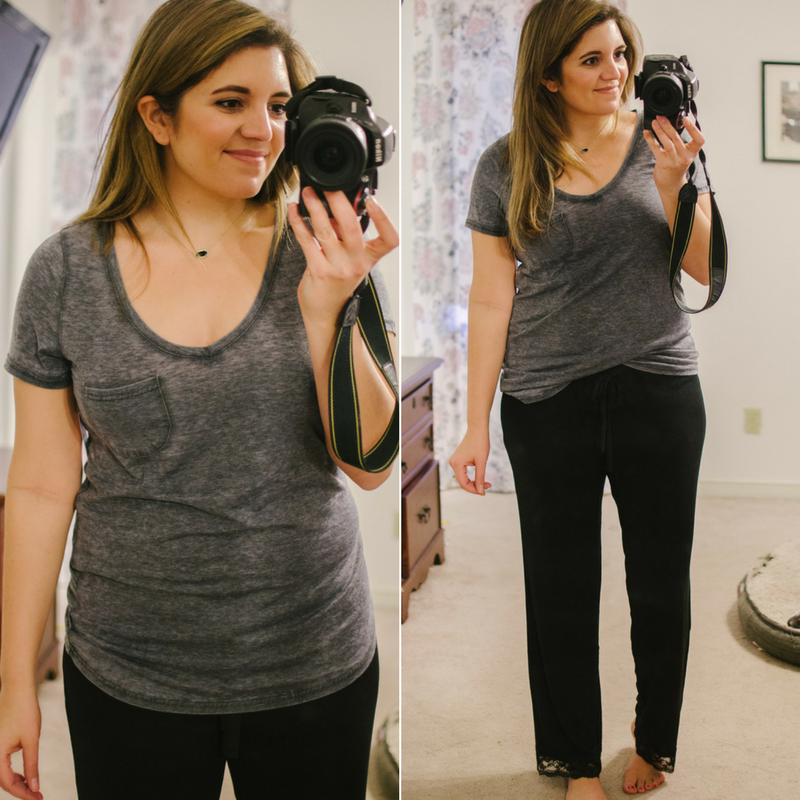 Stitch Fix is my go to! Shop Short Sleeved Blouses, Black Pumps Sale, Platform Black Heels, Tan Maxi Dresses and more. Get this widget.